Anterolateral sulcus is visible at #8. 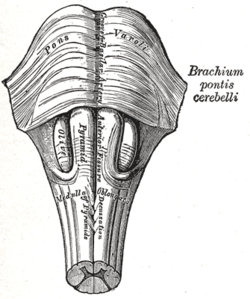 The anterolateral sulcus (or ventrolateral sulcus) is a sulcus on the side of the medulla oblongata. 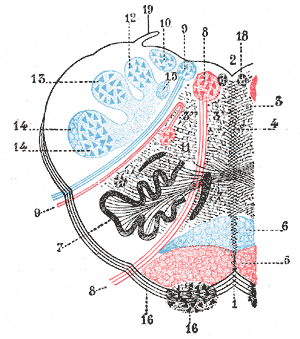 The rootlets of cranial nerve XII (the hypoglossal nerve) emerge from this sulcus.